Finally, after at least a decade, here is a Ridley Scott movie that’s as easy to recommend as it is a joy to behold. There’s no denying that Scott is an incredible visual artist - it’s just that his more recent work hasn’t always worked on a script level. His previous entry in the genre, Prometheus, had some incredibly striking imagery, but the story took some incredibly strange turns and ended up arguably tarnishing the franchise it clinged to so desperately. It’s refreshing then, that the source material this time around is so much stronger, with a script by Drew Goddard based on Andy Weir’s book of the same name, The Martian tells the story of NASA Botanist, Mark Watney, who gets stranded on Mars after getting separated during a freak storm that forces the rest of his crew to abandon the planet. Mark regains consciousness and after treating his injuries is faced with the task of surviving the inhospitable wastes of Mars. What follows is a tale of the triumph of the human spirit against overwhelming environmental adversity. This is captured not only in Matt Damon’s charismatic performance, but also the star-studded supporting cast, including Chiwetel Ejiofor, Sean Bean, Jeff Daniels, Kristen Wiig and a quirky turn from Community’s Donald Glover. 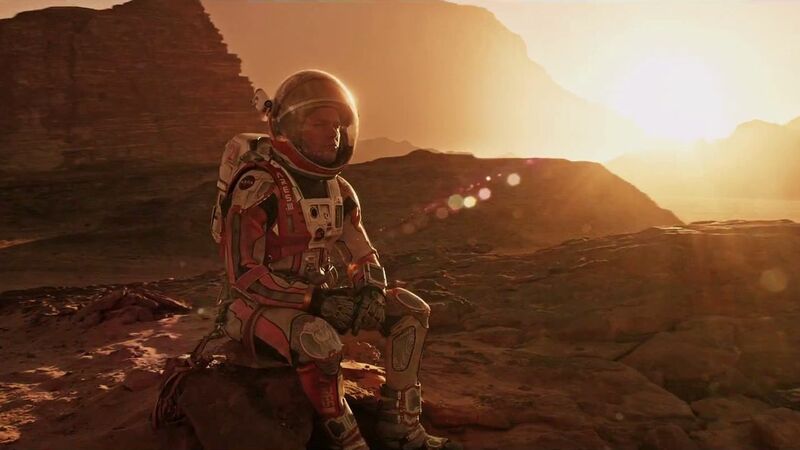 Ridley Scott chose to shoot The Martian natively in 3D and it really shows - from the vast scenic wide-shots of Jordan which served as the location for the exteriors shots of Mars to the incredible depth of field effects in the zero-gravity space sets, The Martian is easily in the same league visually as Gravity, Interstellar or Avatar, but it’s the ingenuity and humour of the script that really shines.